HONG KONG - Four movies got 10 or more nominations in the 25th Hong Kong Film Awards shortlist announced Wednesday, but Johnnie To's gangster film "Election" dominated with nods for best film, director and actor. The award winners will be announced at a presentation ceremony April 8. Tsui Hark's kung fu epic "Seven Swords" and Peter Chan's musical "Perhaps Love" each bagged 11 nominations, while "Election" and "Initial D" - based on a Japanese comic about street car racers - each had 10. But it was To's "Election," about two gang leaders feuding for the top, that racked up nominations in the highest-profile categories. It was nominated for best film, and To for best director. Its stars Tony Leung Ka-fai and Simon Yam were both nominated for best actor. To hopes to redeem his disappointing showing at Taiwan's Golden Horse Awards in November, when he got 11 nominations but only two awards, for sound effects and original screenplay. Solidifying his status as a top Chinese-language star, Leung is competing with himself for best actor. He is nominated for "Election," and for his role as a subdued man with a lifelong crush on a friend in "Everlasting Regret." By contrast, In "Election," he plays a hot-tempered, ruthless gangster who punishes his own cohorts by rolling them down a mountain in crates. Leung is best known to Western audiences for his role as a Chinese man who has an affair with a young French girl in "The Lover." Action star Jackie Chan and heartthrob Andy Lau are also hoping for comebacks in Hong Kong after disappointing Golden Horse showings. Chan stars in "The Myth," which is nominated for best film. Lau is up for best actor for his role in "Wait 'Til You're Older." All eyes are also on Hong Kong pop singer Sammi Cheng, wondering if she can win best actress as a Shanghai beauty who endures political and personal upheaval in China in "Everlasting Regret." Pop singer Aaron Kwok, a surprise best actor winner for "Divergence" at the Golden Horse Awards, is now shooting for a win in hometown Hong Kong. He has a Hong Kong Film Awards nomination for best actor. This year's shortlist reflects a growing Hong Kong-mainland China film-making integration, with several nominations for co-productions by the two. Mainlanders bagged four nominations in the acting categories. 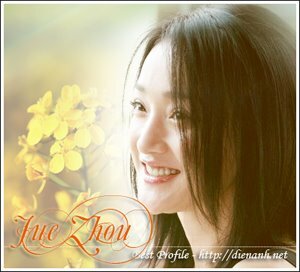 Zhou Xun is up for best actress in "Perhaps Love." Hu Jun ("Everlasting Regret"), Zhang Jingchu ("Seven Swords"), and Su Yan ("Everlasting Regret") are nominated for supporting roles.